A ribbon cutting ceremony is scheduled today for a brand new business in the valley. Integrity Taxi opened its West Street doors first thing Monday morning. Representative Jennifer Stauffer said she began receiving calls for service at dawn. “Things are going very well. We sent two cars out this morning at 6 a.m. and they both had arrived by 6:30. It’s really simple because all we need is the customer’s name, phone number, address and of course your destination. If you want to go to Walmart you should also let us know if you want to be dropped off or if we need to wait,” she said. Local transports are just one of the services offered by the company. Stauffer said many locals were pleased to know that Integrity also provides transportation to Las Vegas. At present, the Vegas shuttle will have stops at four Las Vegas locations, including the Silverton Casino, RTC (Regional Transportation Commission) South Terminal, McCarran Airport and the Las Vegas Premium Outlet Mall. Shuttle riders are urged to call 24 hours in advance for transportation. The bus can accommodate 12 passengers. “We start at 7 a.m., at the Pahrump Nugget and Saddle West Casinos Monday through Saturday. It’s not running on Sunday at this moment, but if the demand is there I am sure we will pick it up. We will pick up on the return trip at about 4:30 or 5 p.m., depending on which stop you were dropped off and we will return to Pahrump about 6 or 6:30 p.m.,” she said. Fare for the Las Vegas shuttle is $24.95 one way. Stauffer said the local taxi fare starts at $2.90 and charges 30 cents for each eighth of a mile. “It will be $2.40 a mile. If you do go to Walmart and are just going to be about 10 minutes or so, the wait time is $24.00 an hour so that ticks over at 30 cents every 45 seconds,” she said. 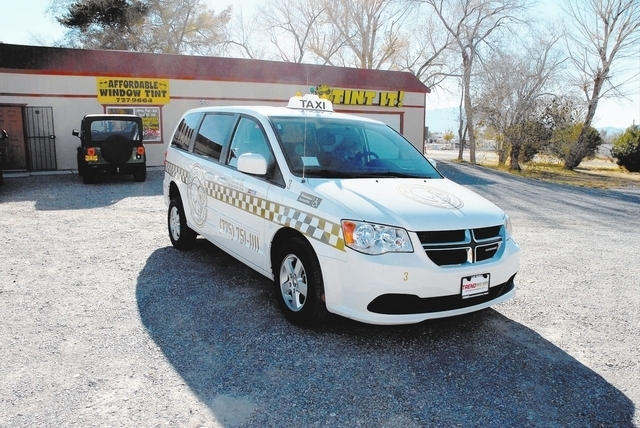 Integrity has had an interest in expanding their taxi service to Pahrump for quite some time. In October, the Nevada Transportation Authority finally approved the company’s license to operate a local taxi service. No local cab service has operated in town since Pahrump Valley Taxi owner Jit Mann ceased operations earlier this year. 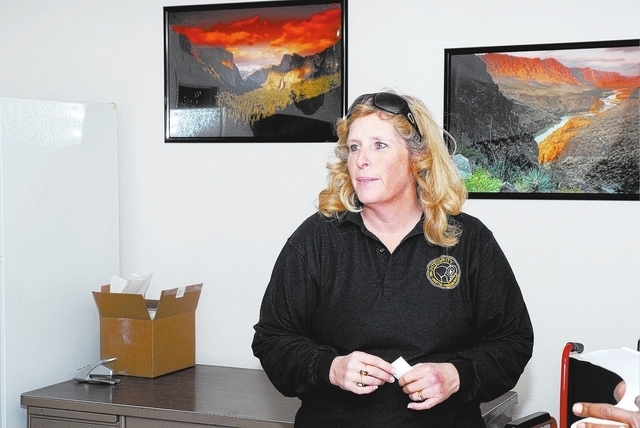 Stauffer said efforts to break into the Pahrump market took quite a bit of time and patience. “We had to go through the transportation authority and that was really the hardest part. The town was very welcoming and we received a lot of support. The NTA was also supportive and they were not hindering us. There are a lot of rules and regulations that we have to follow,” she said. Stauffer recalled several months ago when local residents were anxious for a reliable transportation service in the community as evidenced by the volume of phone calls the company had been receiving. “Even though the office was not open, we had a phone line hooked up and got a lot calls about how the shuttle taxi service would run. I tried to call everybody back,” she said. Stauffer also said Integrity has a fleet of brand new vehicles that will be used in town. “We have two Scions, a Dodge van and the 12-passenger shuttle van so we have three taxis and one van. We have at least two locations where we stage our vehicles. We want them visible all around the community. Our cars are safe and we have a very good crew working for us,” she said. Today’s ribbon cutting ceremony and grand opening party run from 11 a.m. to 3 p.m.
Stauffer said the entire community is invited to meet the staff and partake in food and drink. “The public is totally invited. We have Dean West and the Smoking Gun Band providing entertainment. 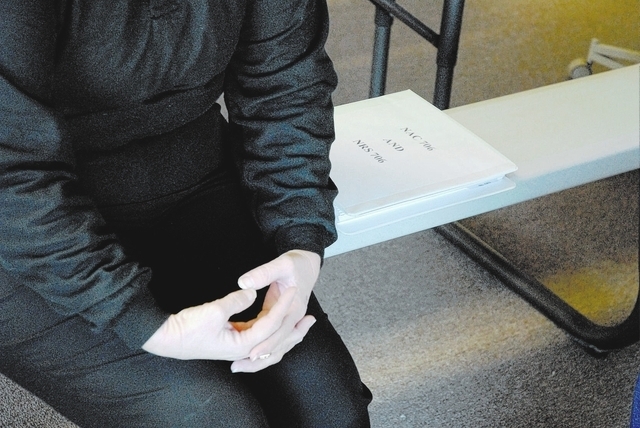 We sent personal invitations to our elected officials to stop by as well,” she said. Integrity Taxi LLC, has a proven track record in Las Vegas. The company started with six vehicles in 2003 as Coach and Carriage Limousine. Roughly one year later the company started Star Limousine, which is now Executive Las Vegas. Now the company has 244 vehicles in its southern Nevada fleet.